Morgan has always been on our radar – we always knew that she had the potential for greatness not only because of the horses she is mounted on but because of the determination she has. She has this in and out of the horse arena. 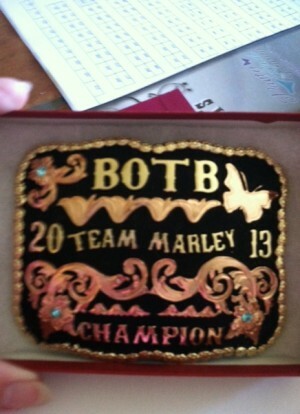 Thank you to The Shirey Family for being a BOTB Buckle Sponsor! Morgan along with her sister Regan are both very active in the Light the Night Walk for the Leukemia/Lymphoma Society in Zanesville. They work hard to help raise money all year and are leading our team in the walk. It is a walk to raise money to help fight blood cancers. Their wonderful grandfather lost his life in a powerful fight with Acute Myeloid Leukemia and Morgan continues to help with finding a cure. You can bet that all eyes will be on this team as they power up the shoot like a super hero! 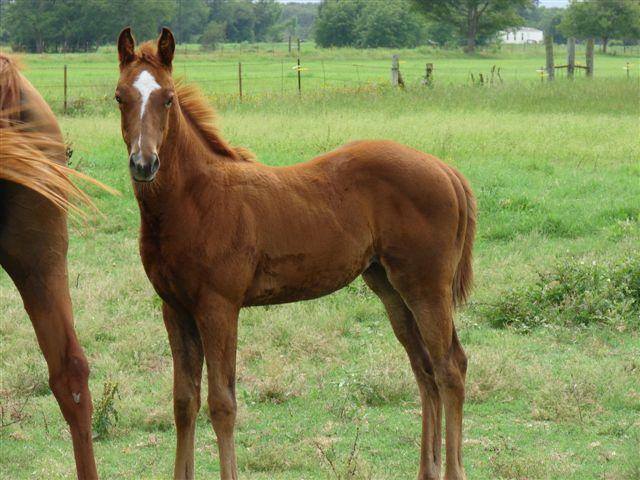 Heros Dashin Lady (Lady) is six year old mare. Lady and I have been a team since July of 2012. Lady and I qualified for the Best of the Best at the 2013 Ohio NBHA State Championships in the Open Finals where I placed third. There were a total of 121 entries in the finals. We do have some quirks that I do before I run her. I obviously warm her. I put her tie down tighter and I wear spurs while I warm her up. When I am getting close to running I put her tie down back to where it is when she runs and I take my spurs off. When I’m on deck I counter arc her hard to make sure she stands up for me in the run. I ride about 3-4 days per week. I can’t narrow my favorite arena down to just one. My top three favorites are Henderson Arena in Jackson, Ohio, Southeastern Arena in Unadilla, Georgia, and Gordyville USA in Gifford, Illinois. These are my favorites because I like the ground and the set up of those arenas. I also know how to get a good first barrel on Lady every time at them. Goals I would like to accomplish with Lady are to win the youth class that I am in at the Congress this year or I would like to win the Youth at the 2014 NBHA Great Lakes National. The charity I would like to support is the Leukemia & Lymphoma Society because my grandpa died from Leukemia. My all time favorite win as a rider was the 2013 Double J Ranch Open Slot Race. I won it on Lady. I was against some of the best horses and riders in the industry such as HM Cornerstone, VF a Sporty Design, Bug Ya for Moolah, and more. Morgan thank you for your insight – great interview and we wish you all the luck at the BOTB! Love one another a little more and enjoy the show! Previous Danielle Harrop & Max are going to “bring it” to the 2013 BOTB!